Since August 16 when TwitterAPI team announced the shutting down of basic authentication of Twitter API, which was deprecated on August 31, 2010, all client and browser based tweet application have been on the run for update. I think that’s the currently web buzz on tweet plugins/modules. 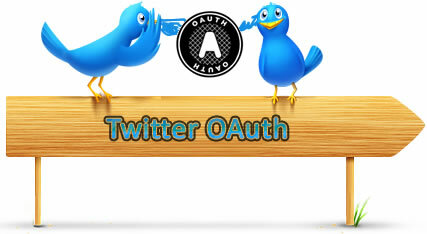 The fact is, Twitter API now accepts communication via OAuth and OAuth only. This gives me a big hit on all my blogs and codes …..UPDATE! Prior to this OAuth enforcement agent, I use a nice script by Tijs Verkoyen and it works pretty good. He posted an update for the new Twitter OAuth but it’ seems there are lots of headache on it — from users comment. At this point, you need to create a consumer key and a consumer secret. Consumer? All I want to do is tweet, who is the consumer and what is been consumed? 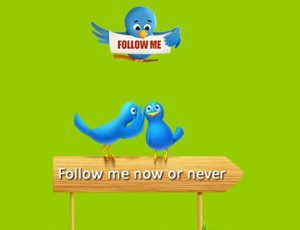 Please ask Twitter by creating an application for your blog or project. ‘Description‘ – The description if available. ‘Application Type‘ – Browser for web applications. Once you are done filling out the form and it submitted, you will be redirected to the APP profile page where the consumer key and consumer secret is residing. Copy these consumer key and secret; you will also need to copy the ‘Access Token‘. You can find this by clicking on the ‘My Access Token‘ link on the right corner of the page. Copy the Access Token (oauth_token) and the Access Token Secret (oauth_token_secret). 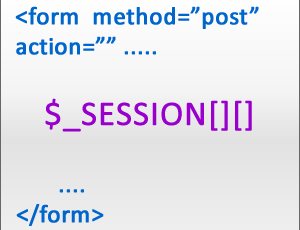 Back to the class instance; paste each string/key in the appropriate places. With this short lines of code, I found this pretty easy to use and I was able to call my APP twittering back to life. I think is time for you to update too. Please drop a comment, ask any question or share your preferred knowledge about this topic. "Copy these consumer key and secret; you will also need to copy the ‘Access Token‘. You can find this by clicking on the ‘My Access Token‘ link on the right corner of the page. Copy the Access Token (oauth_token) and the Access Token Secret (oauth_token_secret). Back to the class instance; paste each string/key in the appropriate places." > OAuthAccessToken (), like I can save to a text file? If you notice Daniel, I didn't bother to make use of the callback URL or request for access token. You can always set your access token you copied from 'My Access Token' page. This one actually really works! Love you! Glad it worked for you Chris. Finally, finally something that works without spending hours of trying! After carefully looking how you posted a tweet, it was easy to make tweets go away or show them all on a page. Can you confirm where these two pieces of code go. Are they separate class pages, or is any of it added to "Twitter.php. I can't get it to work. Am I altering Twitter Class page at all? So this code is meant to be on a separate file. I hope you get that right. Thanks to you and to Tijs Verkoyen. Hey, I can't find button "my access token" on right. In fact the page looks a bit different. I mean I have buttons on top, but not on the right. Where else I can get permanent my token and Secret? I guess u are the first to say this is not working. Perhaps u need to check/correct the cause of that warning or check ur code. Perhaps there is something wrong in the keys; this always occur with cut and paste a lot. This script is still working for me as I type. It works fine on my APPs. Can u post ur declaration here for us to see? Everything is working perfect this way, but I would like to use this library login in with my twitter username and password. Is it possible? Are you able to provide sample code that utilizes the callback URL and request for the access token? Rather than the hard coded oauth_token and oauth_verifier? thank you!! It should be your own website address! Thanks Silas! 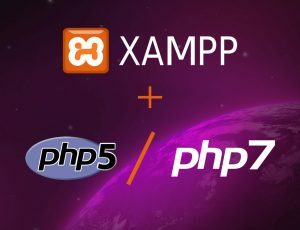 How to update a status from a PHP script running as a CRON job had been frustrating me for days. Thanks! You are most welcome Andy. cool it worked for you. thanks to Tijs. It seems twitter changed the page and I couldn’t find the page for the token key and secret any more. Also “my token access” button. Any updates on this matter? Thanks for your code, it is pretty fit to my application, Can I post msg to some other users ? If you mean tweet @A-User, then yes. if otherwise, I don’t think so.